Bulgaria’s Minister of Environment and Water, Neno Dimov, has ordered an inspection of the quality of the ambient air in Trud, a village about 10km from the country’s second city Plovdiv, and the scene of several protests since last year against a foul stench for which residents blame a biomass processing plant. Dimov has commissioned the Environmental Executive Agency to carry out the measurements. A mobile monitoring station from Plovdiv has been assigned to the task. The sampling will take place over 14 days, according to the order issue on May 23. The monitoring station will be placed close to the biomass plant that the villagers are protesting against. The results of the inspection will be announced after the measurements have been made, the Environment Ministry said. The announcement by the Bulgarian Environment Ministry came as residents announced that there would be a further big protest on June 8. Residents of Trud reject the findings of previous measurings, saying that the mobile measuring station was put in the wrong place. Mimi Miteva, a resident of the village, told public broadcaster Bulgarian National Television on May 22 that the air pollution, which she insisted came from the biomass plant, was “murderous for little children, for big ones and adults”. Stanimir Tonchev has placed his own measuring instrument, which monitors the air quality. The results are different from those of the previous environmental measuring. He told BNT that a few days previously, there had been particle counts that were 200 times over the norm. The village residents want the biogas plant closed or move. 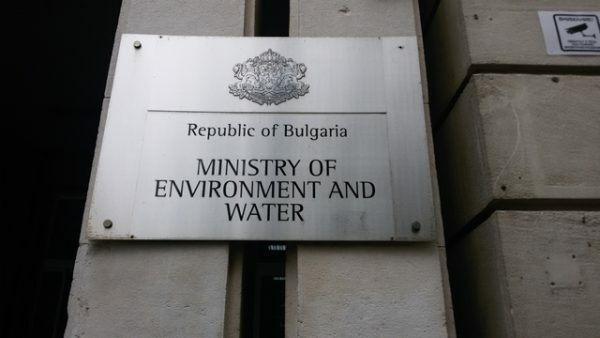 In a letter to European Commission President Jean-Claude Juncker, they will insist that European environmental funds for Bulgaria be suspended. The air quality controversy in Trud was the subject of a video by Bulgaria Now on May 3.